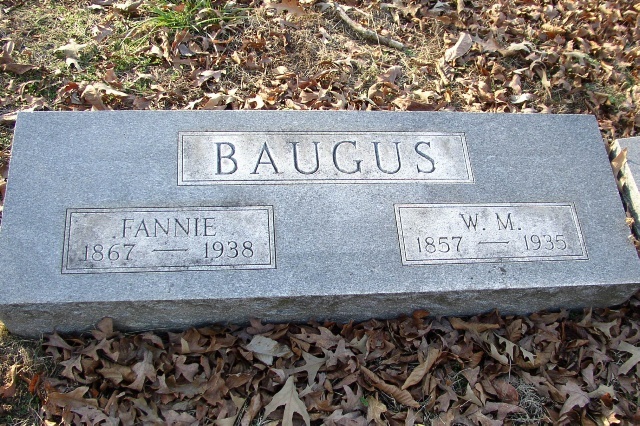 Fannie is apparently the first and only child of Margaret Qualls and William B. Nunley. Margaret was first married to John Orrick/Arrick who was killed at Shiloh in 1862. 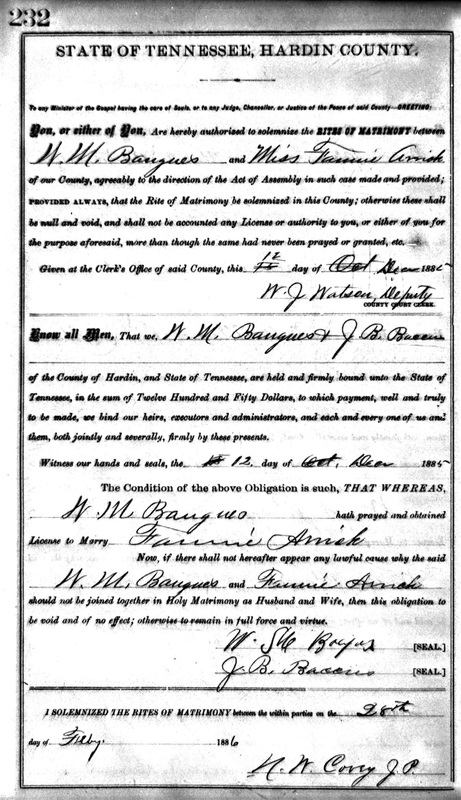 Margaret remarried to Nunley in 1867 in Grundy Co TN after his wife Sarah Jane Smartt died. 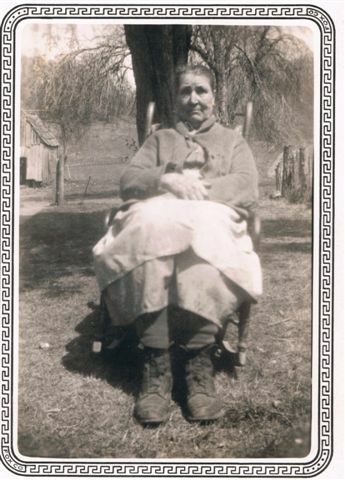 Fannie moved to Hardin Co TN as did 2 of her brothers - John and James but unsure why. Baugus genealogy researchers have referred to her as Fanny AMICK. The biggest mystery to me is why does Fannie and her mom Margaret use the Arrick name, even though she is daughter of Nunley, confirmed by her birth date, and by her death certificate? Pictures: Need some - Help! Migration: Moved from Grundy/Coffee Co TN to Hardin Co TN between 1880 and 1886. Why did Fannie use the Arrick name, and not her father's name Nunley? 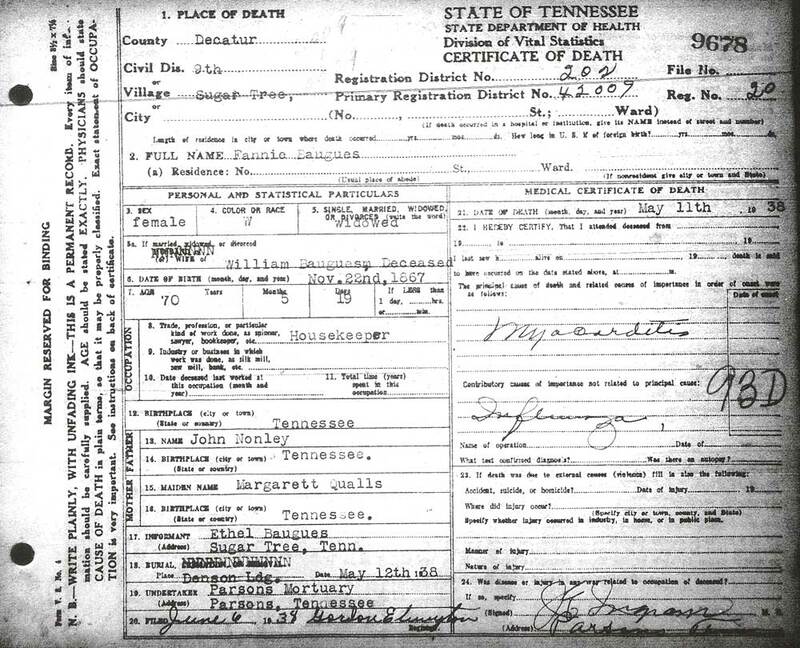 Why did she and 2 of her brothers move to Hardin Co TN in the 1880's? Was it to be near Qualls? Many Arricks pronounced their name "Ark" and it is spelled that way in many branches in several decades. It also appears that many Arrick families are really Orricks. Arke, John, 10 (1860) -- John Riley? Sarah Elizabeth is named Bettie, as she is in future census. 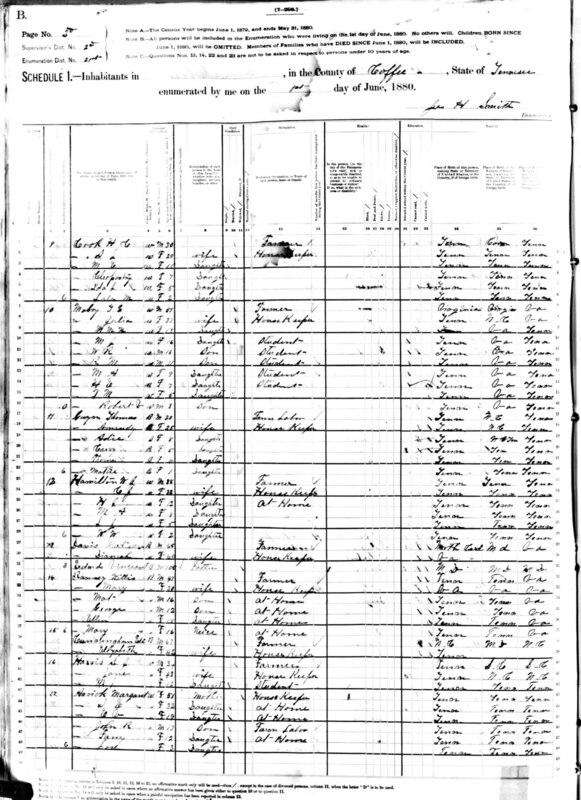 Here is the marriage record for Fannie and W.M Baugus. Here is Fannie and family in Hardin Co TN, District 2. They are transcribed as Bonges at Ancestry.com. They are near Franks, Harrison and other familiar names. 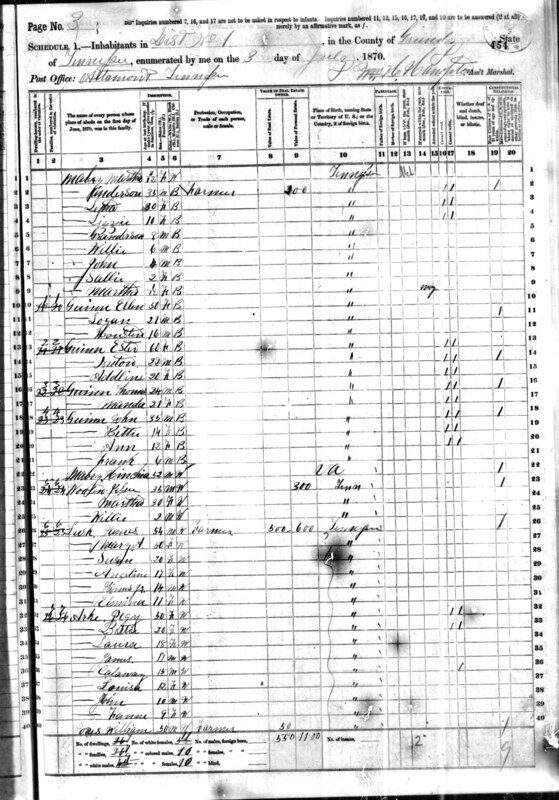 Here is Fannie and family in the 1910 census - Hardin Co, TN. 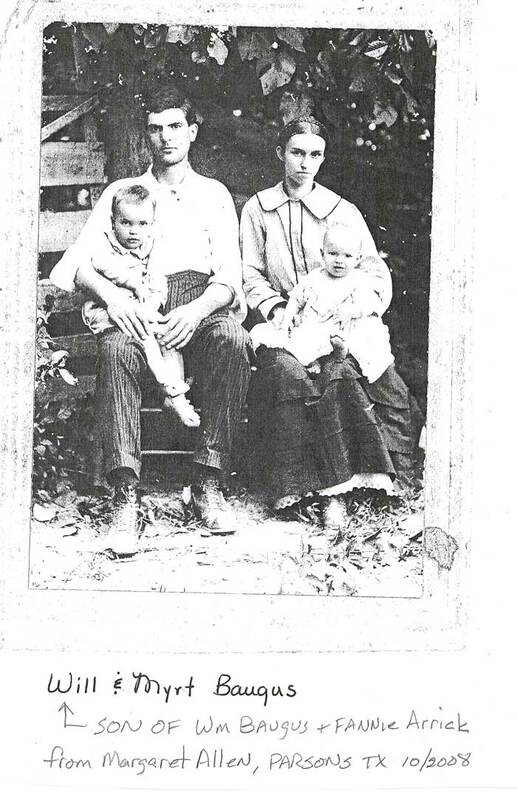 The Baugus family has moved to Perry Co TN, just north of Hardin Co for the 1920 census. Living with them is daughter Mattie, widow of Roberts, and a grandaughter. This time, husband William is shown as William A. Wonder if A=Allen since one of their sons had a middle name Allen. Here's Fannie and husband in 1930.